Japanese Ophthalmological Society approved specialist of ophthalmology. You need not make reservation to consult me. Come to my clinic during reception desk open ours above. If you are from outside Japan, email me. The cost including everything is a little less than 1000 dollars or 1000 Euros. Please pay by Japanese Yen. Next to our clinic is Bank. It takes about 2 to 4 weeks to recover from redness (injection) due to laser treatment. Almost written in Japanese, but you can see some information in English. groove on platforms makes bloods easy to be removed. Marks on the tips signify specific sizes from 0.5 to 1.0mm as the dilator is inserted. 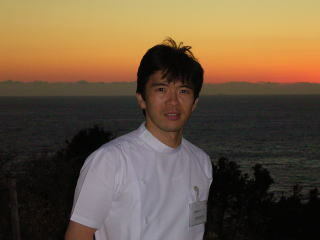 Isao Otaka working at rural Nishiizu Eye Clinic, where medical service is not enough. Patients are waiting for Isao's coming on weekends. Some of the patients bring vegetables or fishes they got. 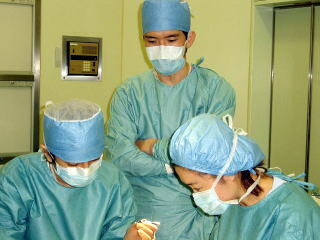 TV Asahi crew estimated Dr.Otaka as one of the top doctor of treating retinal detachment. Always treat patients as my family. Always recommend my patients the treatment which I myself would like to have.